Now this is a cool sight! 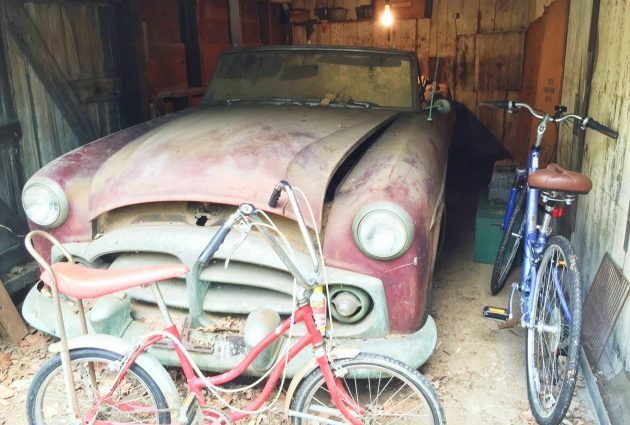 While this barn find might not be a muscle car or even an incredibly desirable model, there aren’t too many things as cool as a ’50s American convertible, in this case a Packard, sitting in a barn with a Schwinn parked in front of it. And in the garage next to this one is another Packard, it’s a sedan, but it has a rebuilt engine and could be turned into a driver or used as a parts donor for the more desirable convertible. You can check out this pair here on eBay in Belvidere, New Jersey with an opening bid of $5k for the pair. 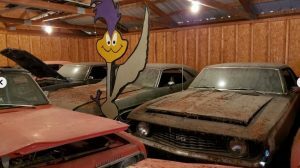 I’m not sure if this seller will get much interest in these Packards, not because they aren’t desirable or worth saving, but because of the lack of information. Here is their entire description for the pair, “Rebuild convertible and use sedan for parts? Engine in sedan was rebuilt, probably less than 1000 miles on it.” Like I said, they don’t offer much information about either car. If they are both solid and complete, I would think they would be worth more than $5k, but without more details or photos, it’s hard to say for sure. You really don’t see these cars often, especially the convertible. If I were going to restore just one of these cars, it would definitely be the convertible. The sedan could probably be turned into a driver, but is does have a fair amount of rust. Seeing how rusty it is, makes me a bit concerned about the condition of the convertible. Hopefully, it isn’t quite this rusty, but the lack of photos certainly makes you wonder. I wonder what it is with some sellers on Ebay and C’list. Do they think it is easier to sell old cars that most folks know nothing about with fewer words? Do they imagine this will spark their interest? Are they just lazy? Illiterate? What? I mean the shortest distance between two points is a straight line. 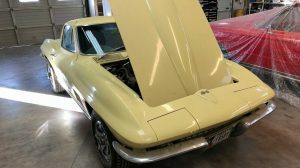 You want to sell your project cars? Make a straight line to the sale. This is not rocket science. 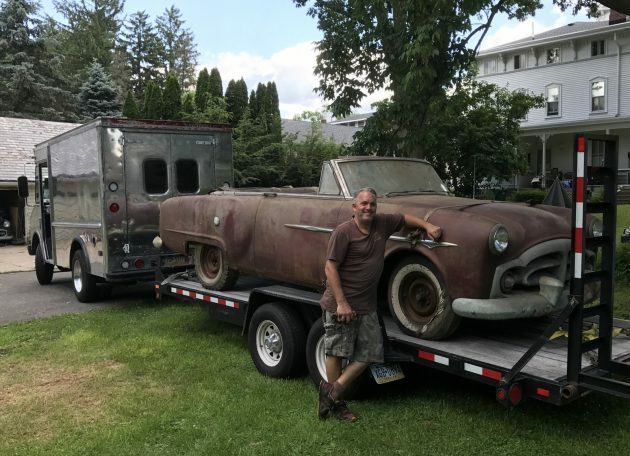 That said……….a dusty pink Packard convertible, even a fifties one, would be a fun project. Usually the just inherit them and don’t know much or how to even sell them, what photos to use etc… The convertible looks solid and it is probably one of those ran when parked 25 years ago. Someone will go an take a look and probably buy outside of Ebay. If I was closer I would be tempted to take a look. Like the stringray bike better. 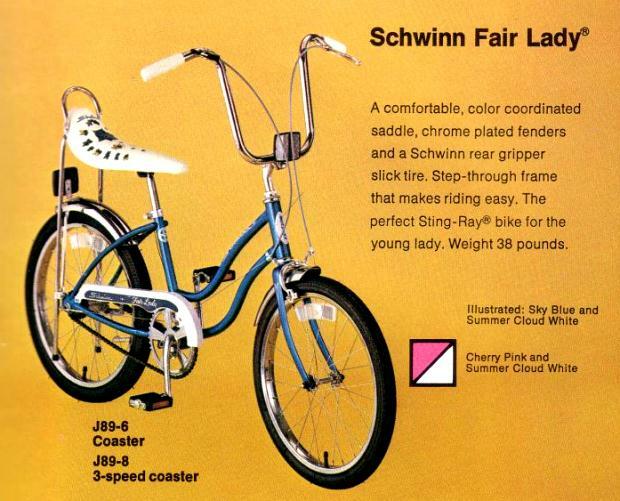 Looks like a 1969 Schwinn Fair Lady. Come on guys thats clearly not a Schwinn. What do you think it is, Michael? Michael is right. No honest-to-goodness Chicago built Schwinn had a welded on head tube like that. And the emblem is incorrect. Thanks dan. Its some cheapy montgomery wards or sears knockoff. Not even a bike store bike. Go back to just being wrong about cars howard..? Had to add to my watch list. What an ideal candidate for customizing! Nothing like a custom convertible! 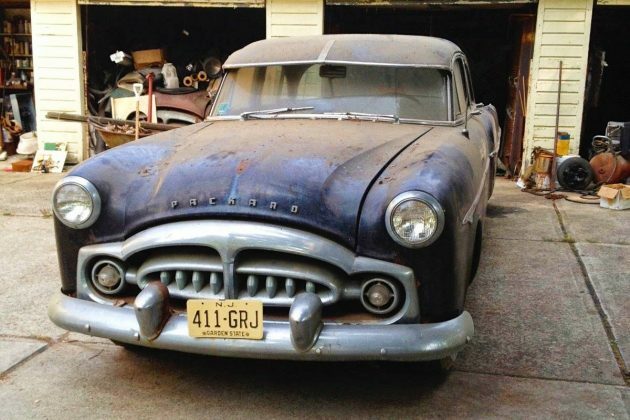 I sure dig Packards. That convertible alone is well worth the 5k starting bid. 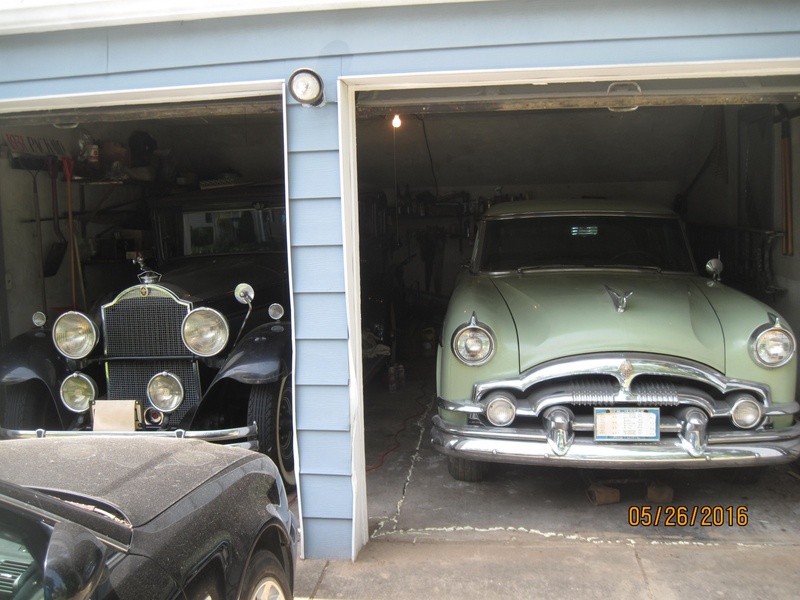 Here is a photo of my 54 Patrician next to my 31 Packard 8. I also have a 53 Caribbean convertible and a big 37 Super 8. Nessy- You have it going on!..My neighbor when I was a kid had what I remember to be a Packard town car from the thirties belonging to the opera singer Lily Pons. Your ’31 reminded me of it Have you ever heard of a Lily Pons Packard town car? Thank you for the kind comment Woodie Man but I don’t “have it going on” as you said. I just have too many old cars to handle. When I was a kid and single, I stocked up on interesting old cars. Now with family, work and less time to play with the cars, it’s to the point where I wish I had some more space and less cars. I’m starting to trip over them and it’s a project just to get a car out for a Sunday drive or a car show. Most of them just collect dust in the garage these days. There comes a point when your cars begin to own you and that is what happened to me. As for Lily Ponds, she owned several Packard Town cars, the last Packard she had built was a 41 Rollson Town Car. Rollson is not to be confused with Rolston, an earlier more known coach builder. She also had a Duesenberg Town car in the 30s, a Pierce-Arrow and a number of Cadillacs. Packard was her top pick in cars from what I remember reading. 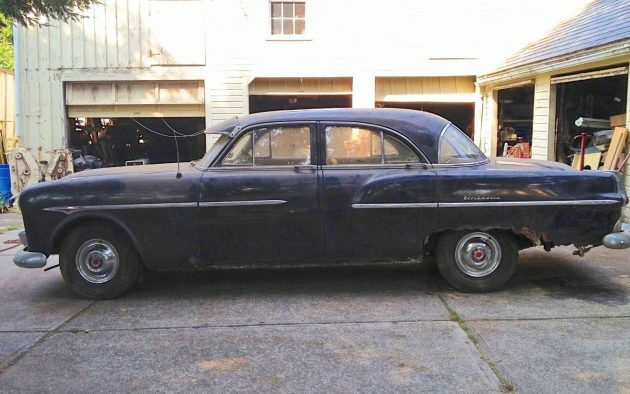 I think getting BOTH up and running would be great , the convert.interior looks pretty decent , seller seems more focused on the sedan how difficult would it be to source parts for them (body, engine, etc) ? I really don’t expect the straight 8 to be a powerhouse, but how would it be on today’s highways ?? 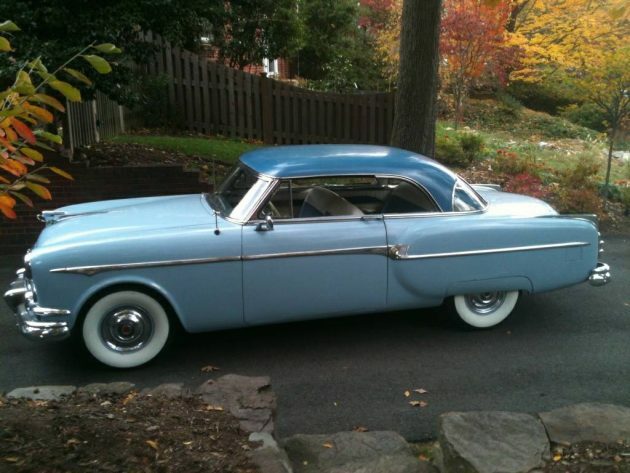 My mom had a “53 Packard Patrician and we made several trips from L.A. down to Palm Springs in it. To answer your question that straight eight engine had enough power to get the car down the road o.k. but it was NO HOTROD and we were not racing anyone anyway. Ahhh The N.J. Salt has struck again. That’s why I moved to East T.N. Bruce. I think that grill on the sedan is just awesome. Hi GP, I think the grill is the fanciest thing on that car. It is a bit odd looking, like teeth. 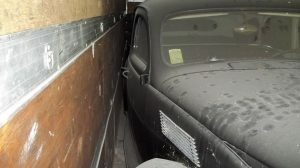 The rest of the car was pretty ho-hum. I bet Packard’s option list in ’51 was a mile long. If the engine in the sedan is so newly rebuilt, why the tow chain? The first time I met the man for whom I would work for 43 years,he was driving the ’41 Packard Town Car that had belonged to Lily Pons!It was a 120 series,very attractive custom body,possibly by Derham. I looked on line and saw the ’41. My childhood memory is of the town body and the front end in my memory was more thirties like. But I’m sure that’s it. It was owned back in the very early sixties by a great guy named Cy Harris who was the voice of Alka Seltzer and made some great comedy albums. This was in Connecticut He also owned firetrucks and what else is lost to the mists of time. I have a polaroid around here somwhere of me sitting up in the open cab of the fire engine with Cy . Sedan is a model 300, not the “Patrician 400”. Grill shell on the convertible is incorrect. The convertible was a series 250, not the value line 200 series. The 250 came with “teeth” in the grill center, like on the sedan. 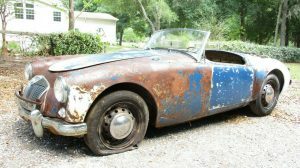 If the body shell on the convertible is not badly corroded, it’s a very good buy. I LOVE it when the really knowledgeable chime in, its great :) especially on these oddball cars. I am somewhat knowledgeable on 70s and 80s BMW and early Zcars, but I dont know anything about these type of old cars. Bill, when it comes to Packard’s, you da’ man! Nessy……there lies the conundrum you want em….you get em…..you have em….but then what! Which is why I have always been a serial car owner….no more than two at any time……..as for Lily Pons. yeah my memory is of an earlier front end on the Packard but hey….it was 1961 and I was seven! I always wanted a Brewster Ford town car, there used to be one at a gas station near my house when I was a teenage pump jockey. I think it was a ’35. Always another car around the corner to lust over…! As much as convertibles are neat (and seem to appreciate the fastest) if I had $5K to spend on an early 50s Packard… I would do my best negotiating and try to get this one for a couple grand more. Mayfair hardtop – all done, ready to enjoy. Wow, the grille on the sedan looks like a closeup of the mouth of some kind of insect. Ugh! Outstanding. Please tell us more about it all. How is the car? I’m sure everyone would like to know what you find!